President Trump attacked the federal courts and the Justice Department over his proposed travel ban. Above: Trump on Monday. 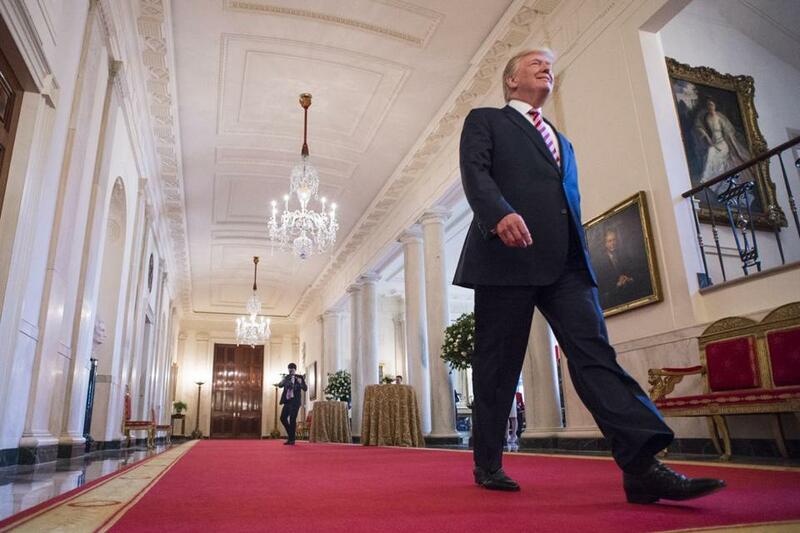 WASHINGTON — In a series of Twitter posts Monday morning, President Trump may have irretrievably undermined his lawyers’ efforts to persuade the Supreme Court to reinstate his executive order limiting travel from six predominantly Muslim countries. Saying he preferred the original travel ban, “not the watered down, politically correct version” he had issued in March, Trump attacked both the Justice Department and the federal courts. The Supreme Court has asked people and groups challenging the executive order to file their responses to the government’s briefs next Monday. Those responses will almost certainly rely on Trump’s tweets in arguing that the justices should not revive the order. The court will probably act on the government’s requests in the coming weeks. There is a reason lawyers generally insist that their clients remain quiet while their cases move forward, said Josh Blackman, a professor at South Texas College of Law in Houston. In a tweet, the president called the current version of the ban ‘‘politically correct,’’ ignoring that he himself signed the executive order for it. “Talkative clients pose distinct difficulties for attorneys, as statements outside the court can frustrate strategies inside the court,” Blackman said. Even a lawyer with strong ties to the administration said Trump was hurting his own chances in the Supreme Court and undercutting the work of the Justice Department’s elite appellate unit. George Conway, who withdrew last week as Trump’s nominee for assistant attorney general for the civil division and whose wife, Kellyanne Conway, is the president’s counselor, commented on one of Trump’s posts. He said they may help some people “feel better” but won’t help get five votes on the Supreme Court. The court should focus instead on the text of the revised executive order and statements from Trump after he had taken the inaugural oath to “preserve, protect and defend the Constitution,” the briefs said. Trump, his lawyers said, was now a changed man, alert to the burdens and responsibilities of his office. “Taking that oath marks a profound transition from private life to the nation’s highest public office, and manifests the singular responsibility and independent authority to protect the welfare of the nation that the Constitution reposes in the president,” they wrote. On Twitter early Monday, though, Trump appeared to say that the latest executive order was of a piece with the earlier one, issued in January, and with his longstanding positions. “The Justice Dept. should have stayed with the original Travel Ban, not the watered down, politically correct version they submitted to S.C.,” Trump wrote. In calling the revised order “politically correct,” Trump suggested that his goal throughout had been to exclude travelers based on religion. And in calling the revised order “watered down,” he made it harder for his lawyers to argue that it was a clean break from the earlier one, which had mentioned religion. In his posts, Trump seemed to betray a misunderstanding of how two branches of the federal government work. His criticism of the Justice Department was misplaced, as it works for him. He could have insisted that it defend his original order. It was Trump’s decision, too, to issue the revised order. But the court’s role is limited to evaluating the lawfulness of the current order. Trump’s adversaries certainly welcomed his tweets. “It just adds to the mountain of already existing evidence that the government has had to ask the court over and over to ignore,” said Omar Jadwat, a lawyer with the American Civil Liberties Union, which represents people and groups challenging the law. 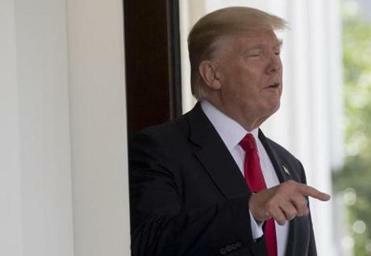 Neal K. Katyal, who represents Hawaii in a separate challenge to the order, said there was a yawning gap between Trump’s tweets and his lawyers’ filings. There was also daylight between the president and his aides about what to call the executive order. “People, the lawyers and the courts can call it whatever they want, but I am calling it what we need and what it is, a travel ban!” Trump wrote. But his own staff members had insisted it was not a travel ban. Sean Spicer, White House press secretary, spent much of one early briefing telling reporters not to call it that. “It’s not a travel ban,” Spicer insisted. The revised executive order, which the president criticized Monday, took Iraq off the list of countries that would be affected and made clear that the restrictions did not apply to those who held green cards or valid visas. It also eliminated a provision that seemed to prioritize Christian refugees for entry. The revised order, like the first, barred all refugees from entering the country for 120 days. It limited entry for 90 days for visitors from six countries: Iran, Libya, Somalia, Sudan, Syria, and Yemen. The administration said it chose those six nations and Iraq from a list of “countries of concern” identified in a law signed by President Obama in 2015. But experts have said that since the attacks of Sept. 11, 2001, no one has been killed in the United States in a terrorist attack by anyone who emigrated from or whose parents emigrated from any of those countries. Most acts of terrorism in the United States in the past 15 years were committed by American citizens or legal residents.